Tea for Two: Treat your love to a romantic tea for two amidst the peaceful surrounds and Victoria Harbor Backdrop of the Lobby Lounge at Kerry Hotel. 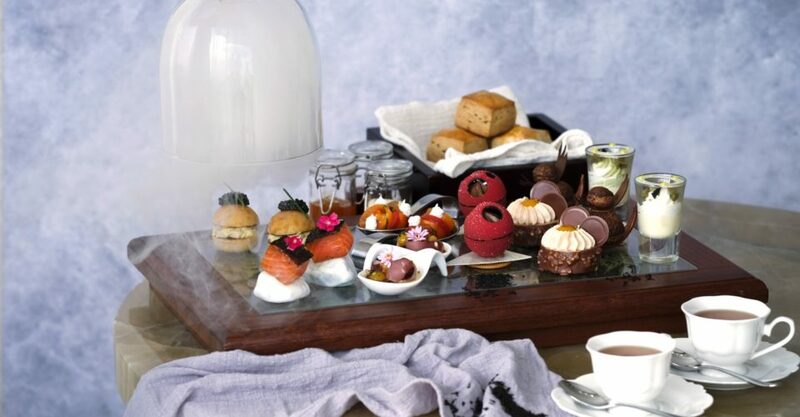 The exquisite afternoon tea includes new items like earl grey tea cured ocean trout and crisp brioche and caviar, as well as sweet treats such as white chocolate and green tea yuzu curd and roasted oolong tea and pear-baked oatmeal. Round out the lavish offering with scones, tea, a strawberry Eton mess, and two glasses of Veuve Clicquot Champagne.